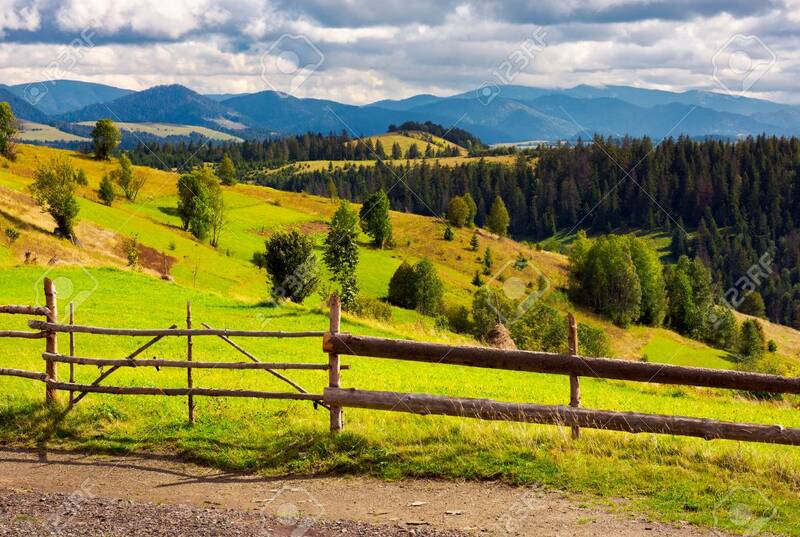 Fence In Front Of A Rural Fields On Hills. Haystack On A Grassy.. Stock Photo, Picture And Royalty Free Image. Image 102851779.